The Eagle Bit Trade website names Edson Júnior as President of the company. No additional information is provided. Further research reveals affiliates naming Edson Junior Amaral (right) as Eagle Bit Trade’s CEO. Other than ascertaining Amaral is from São Paulo, Brazil, I was unable to put together an MLM history. The Eagle Bit Trade website domain (“eaglebittrade.com”) was privately registered on January 2nd, 2018. Eagle Bit Trade has no retailable products or services, with affiliates only able to market Eagle Bit Trade affiliate membership itself. Eagle Bit Trade affiliates invest $97 to $6997 on the promise of an 8.5% weekly ROI. The Eagle Bit Trade compensation plan suggests the above amounts are received until a total 700% ROI is paid out. A 10% referral commission is paid on funds invested by personally recruited affiliates. There are eleven affiliate ranks within the Eagle Bit Trade compensation plan. Eagle Bit Trade cap payable unilevel team levels at ten. Note that residual unilevel referral commissions are paid both on initial investment and ongoing monthly fees. At the end of each day Eagle Bit Trade tally up new points generated on both sides of the binary team. Points commissions are paid out on are flushed, this includes a 1:1 point match on the stronger binary side. The Matching Bonus is paid on residual binary commissions earned by unilevel team affiliates. The World Pool is made up of seven smaller pools, each a percentage of Eagle Bit Trade’s company wide investment. Eagle Bit Trade claim to generate external ROI revenue through forex trading, binary options and a cryptocurrency trading bot. The mission of EAGLE BIT TRADE, through professional traders and digital marketing experts, is to make their cryptocoins multiply daily, more and more, in a way that all participants win. We have one of the best software (robot) on the market with artificial intelligence, which allows us to generate high profits for individuals without having the necessary knowledge to work in the market. No evidence of Eagle Bit Trade engaging in any external ROI revenue is provided. CEO Edson Junior Amaral also doesn’t appear to have any history in finance or cryptocurrency trading. Furthermore, Eagle Bit Trade’s claims fail the Ponzi logic test. If Edson Amaral was able to legitimately generate an 8.5% weekly ROI, why would he be sharing it with randoms over the internet? As it stands new affiliate investment is the sole verifiable source of revenue entering Eagle Bit Trade. Using newly invested funds to pay existing investors a weekly ROI makes Eagle Bit Trade a Ponzi scheme. 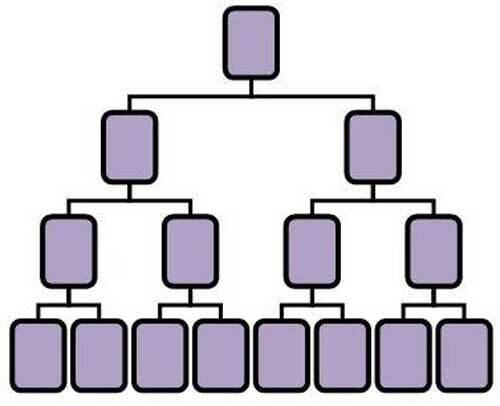 Recruitment and referral commissions add an additional pyramid layer to the scheme. This will starve Eagle Bit Trade of ROI revenue, eventually prompting a collapse. They allready have problems, i try to take my money out and they allways say that they have tehnical problems! Me and my people ask to see the company staff to see where they are dooing the trading, and they answer “Where TCC was dooing the trading” … Intresting comparation! They just made deals with the Leaders and we the loor people will lose money again! Why doesn’t this ever come up before people invest? I understand that they are allready investigated by the London and Brazilian police, i will have the article soon to publish. Some leaders got complains to the police as they try to recruit the same people that they scam in the old companies they was involved. After i sow the event in Dubai, i understand verry fast that Eaglebit trade is a SCAM! Edson Junior Amaral in the past was a very active BBOM scammer. He is the owner of this Ponzi Scheme. This is the second version of the scam, the first one was Eaglet Bet Trade. They changed the name do Eagle Bit Trade. It is very efforts to be aware innocents….but please it should be seareched by everyone with common words… Thank you …. English bro, do you speak it? I think that is one of those cryptic clues they have in crosswords. It’s a SCAM. Company doesn’t pay since March…always giving excuses.IT problems etc etc.In Portugal they’re using people’s money to by luxe cars, houses etc… They don’t pay to anyone. So please do not invest on Eagle bit trade. It’s a Fraud a big SCAM. First, i’m sorry my english. Last year a friend invite me to invest in eagle bit trade, so i did research about them. i google it and found in first page a Brazilian website about ponzi scams (i’m from brazil, here is called “Piramide”). in this web site start the text this way: Don’t be the next fool to lose money in this scam. The eagle bit trade CEO is a know embezzler in Brazil.